Two art shows open September 21 in the Illinois Central College art galleries, located on the East Peoria Campus. An exhibition of the paintings of Lowell Levene-Sims, will be on display in the ICC Performing Arts Center Gallery, located in the lobby of the ICC Performing Arts Center. 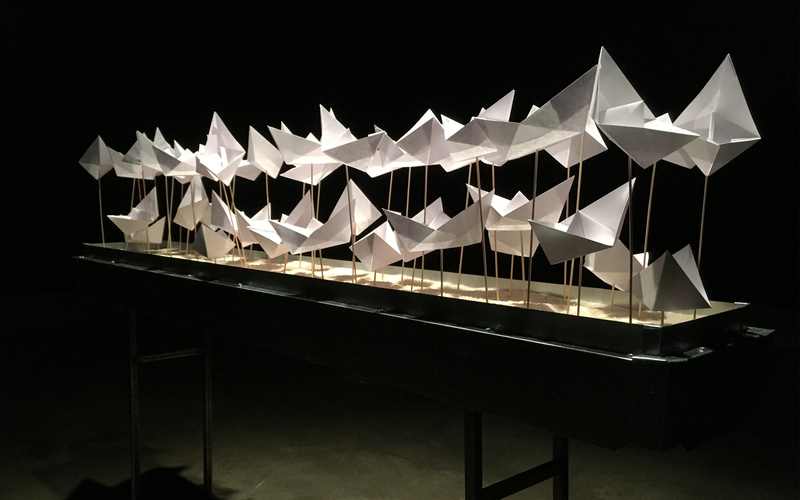 A Paper Boat, an installation featuring print making and drawing by Jerry Phillips will be on display in Gallery 336B, located in the Academic Building. Both shows run through October 14. Opening receptions for each exhibition take place September 21 from 5 to 7 pm in the respective galleries. Levene-Sims has been an itinerant musician, tugboat deckhand, wilderness marabout and cold water surfer before inexplicably rooting himself in the unlikely milieu of West Peoria, where he abstractly documents these past experiences, as well as those yet to unfold. Phillips is an artist living and creating in Nashville. He is the building manager, studio assistant, and gallery coordinator for the Vanderbilt University department of art. 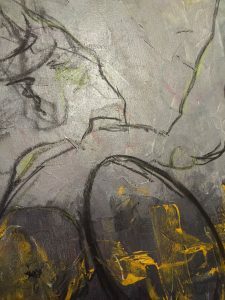 He received his bachelor of fine arts degree in printmaking and drawing from Murray State University in 2007 and his master of fine arts degree in printmaking and drawing from Bradley University in 2010. 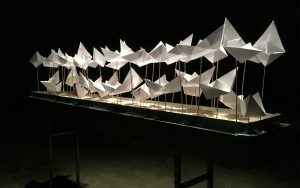 Phillips’ works have been featured in various exhibitions across the United States, as well as in a group exhibition in Melbourne, Australia. Hours of operation for Gallery 336B are Monday through Thursday, from 9 am to 5 pm, and Friday from 9 am to noon. The Performing Arts Center Gallery is open Monday through Thursday, from 9:30 am to 7:30 pm, Friday from 9:30 am to noon and when the Performing Arts Center is open for public events. Operation of the galleries varies with ICC’s academic calendar, including holidays and breaks. To confirm a gallery will be open at a particular time, call the ICC Arts and Communication Department at (309) 694-5113. The Arts at ICC has a rich history of enhancing the arts community and expanding education beyond the classroom. Arts at ICC presents more than 500 exhibits, performances, lectures, rehearsals, meetings, master classes, clinics, seminars, receptions, orientations, forums, auditions, and tournaments annually.